Looking for a fun and easy way to get children to eat lunch? Getting children to eat lunch can be hard work and every mom dreads their child bringing home all the food you carefully packed for them. We found a great solution. 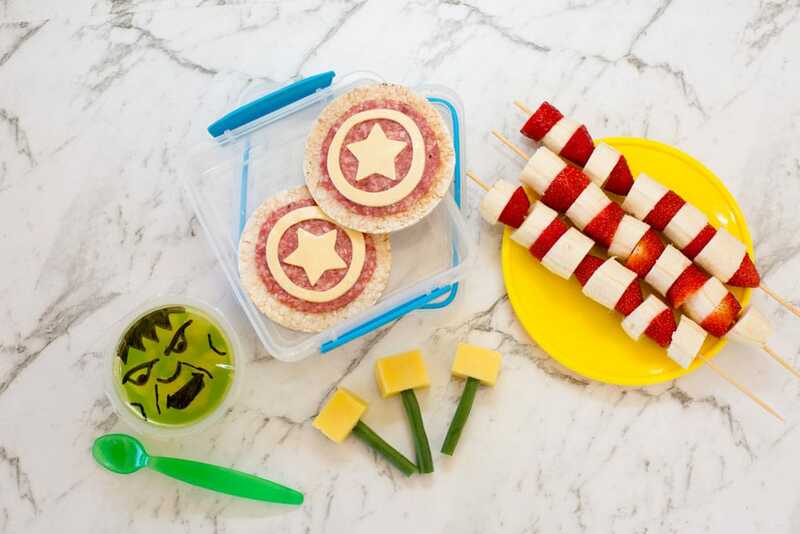 Avenger themed food will sure to be a big hit with even the fussiest of eaters and makes an easy to prepare lunch box for those crazy busy mornings. 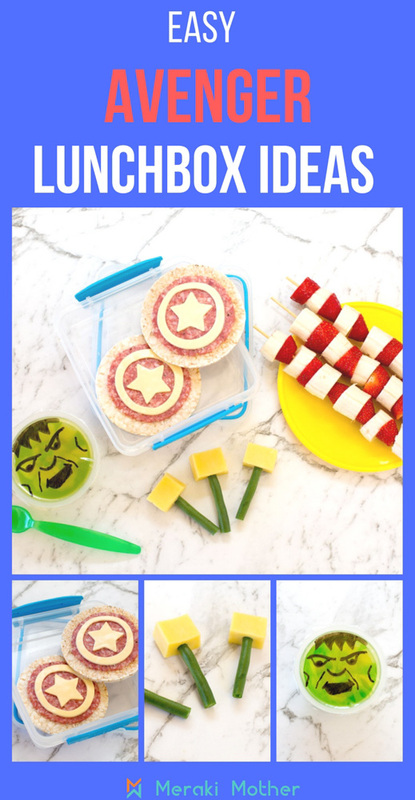 You could even use all these ideas to make some healthy superhero party food for an Avengers birthday party. Our healthy lunchbox snacks are so quick to make but your kids will instantly recognize and love Captain Americas Shield. They also make an easy marvel birthday party food treat. 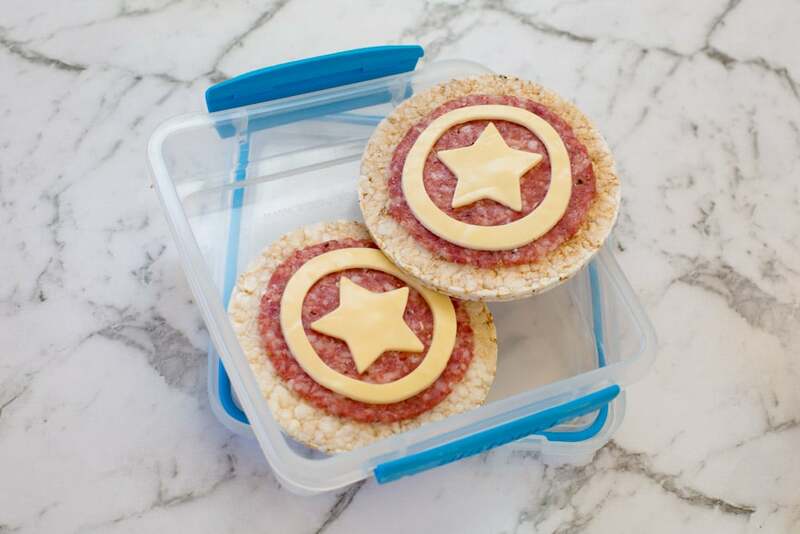 Layer the salami onto the rice cracker then cut out a star and circle in a cheese slice with cookie cutters. You could make this with ham too. Bamboo Skewers. If this is for school you may want to pop this into a bento box rather than on a skewer. Red and Yellow fruit. 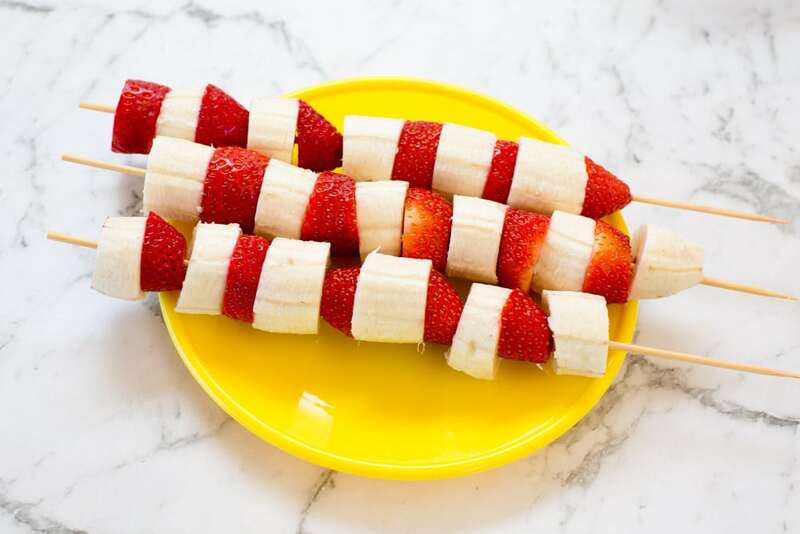 We used our kid’s favorite of banana and strawberry but you could use apple, pineapple, mango or raspberries. Simply cut up the fruit and alternate between red and yellow fruit. Easy!. How about fun versions with tomato and cheese? Fresh Green Beans ( you could also use Pretzels Sticks if your kids prefer the taste). Just cut up the cheese and add your green bean for the handle. 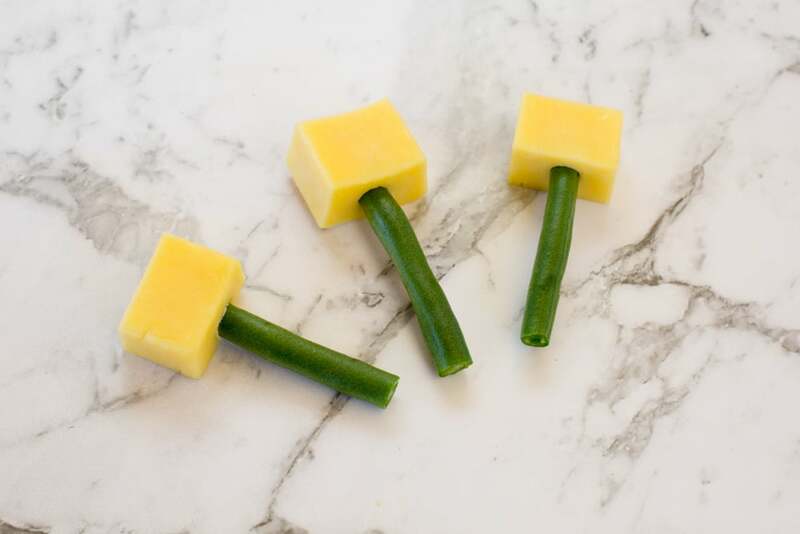 Such an easy and healthy treat and it would make such a fun addition to any Thor Party Theme. For a healthy option, pick a fruit cup or for a fun treat a jello cup then using an Sharpie draw a hulk face on the lid of the cup. 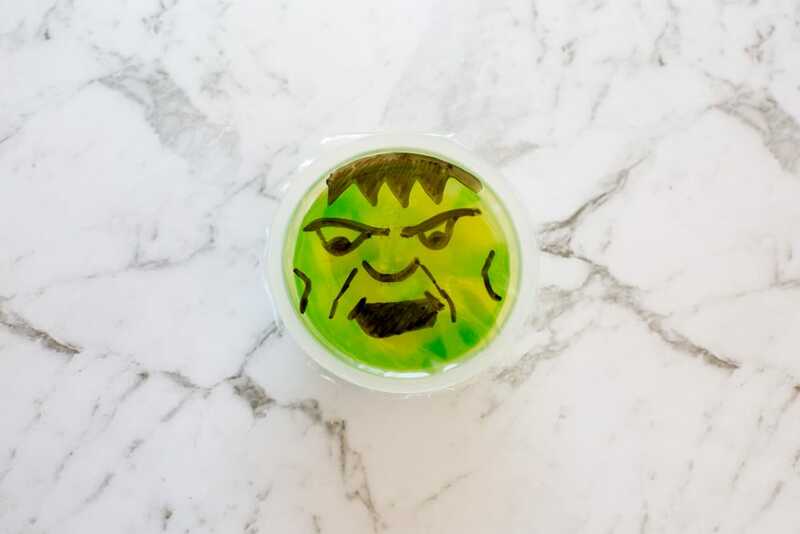 These are fantastic jello ideas for kids party, especially a hulk smash party theme. If you want more ideas on healthy eating for kids take a look at our guide to healthy eating for kids here.